Central Office of Information's (COI) director of live events Simon Hughes is proposing a comprehensive evaluation process for all Government events in a bid to ensure the best use of resources following public sector cuts. 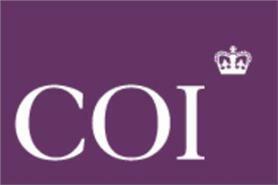 COI's live events team was slashed from 16 to nine last year following the Government's comprehensive spending review. The department is now proposing a "holistic valuation of cost and evaluation to demonstrate the depth of engagement achieved". This includes not only the cost of the event and number of target audience invited, but the number and percentage of audience that attended and the number of evaluations completed. Evaluation questions might include whether delegates felt aware of the messages in the event, whether they understood those messages, and whether the event helped engagement with those messages. Other outcomes include whether a delegate would recommend the event to a colleague, the number of people they would share the event's messages with, and whether they would act on any of the messages. Further evaluation could be carried out at an additional cost, added Hughes. He added that a new diary of events was being set up for the whole of Government to ensure that timing and location were joined-up between departments, and that audience and topic issue were not being duplicated. "No such thing exists for the whole of Government," Hughes told delegates at C&IT's Corporate Forum today (25 January). "We have got to get better results with fewer inputs. You have really got to be on top of your game if there are fewer of you in the team." In addition, COI is focusing on creating commercial partnerships with the supply chain to deliver events, as well as proposing joint events, where a department might run an event for half a day before the venue was taken over in the afternoon by another department, thus being able to reduce set-up costs.